A recent blog told about the rededication ceremony to be held at the Margaret Corbin Monument at West Point Cemetery to honor the valor of the Revolutionary War heroine. Despite the discovery that Margaret is not buried on the grounds of West Point, as thought to be for the past 92 years, DAR continues the commitment to celebrate her legacy. However, the question still persists: Where’s Margaret? This question surfaced when we first learned of the discovery and it continues to be asked by our membership and the public. Almost immediately after our meeting with Army National Military Cemeteries, we started planning what DAR could do in order to effectively extend the research of the New York State Society from 1926 to find Margaret. Their year-long effort of confirming the historical identity and significance of “Captain Molly”/Margaret Corbin, finding her unmarked gravesite, and securing permission for a burial site of honor at West Point was celebrated across the nation. Time and science have now proven they fell just short in identifying the exact location of the original gravesite of Margaret, but there is some evidence that suggests they may have been very close – either feet away or perhaps somewhere else nearby in Highland Falls. The New York Daughters acheivement almost 100 years ago is remarkable and without their efforts and persistence, there likely would not even be a monument to this Revolutionary War heroine at the U.S. Military Academy and her story might not be remembered today. The resurgence of the Margaret Corbin search is important to the National Society because it epitomizes the very reason our organization was founded in 1890: to preserve the memory and spirit of those who contributed to securing American independence. 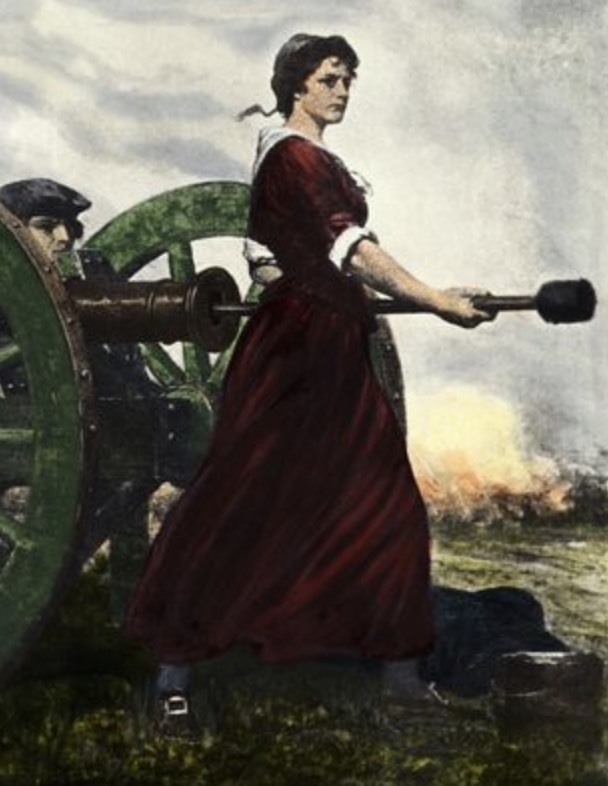 Margaret Corbin is just one of the many Revolutionary War Patriots that our organization seeks to honor, but we hope the DAR’s efforts to search for and recognize Margaret (just as we did in 1926) will provide an example to others of the commitment the DAR has to preserving and promoting the history of the American Revolution. Margaret Corbin is a true patriot that deserves to be known and honored but more importantly she was a real woman, not just a story. On a larger scale, we also hope our efforts to uncover more information about Margaret help to shed light on the heroic – but also devastatingly hard – circumstances people lived through to help build our nation. To be candid, this search for Margaret Corbin could be difficult and lengthy. We may never be able to positively find and identify her remains, but when has DAR ever backed down from a challenge? We are building a team to help us successfully plan and carry out researching this mystery. Who better to include on that team than all of YOU?! Our DAR community is made up of the most talented sleuths in both genealogical and historical research. In the time that has passed since 1926, more resources are available at our fingertips online and we can more easily communicate to people all over the world who may have additional information, so we have an incredible opportunity to build on the research compiled by the New York research committee in 1926 in order to see if we can come any closer to locating Margaret’s remains. We have created a special section on our DAR website regarding Margaret Corbin and will continue to add information and resources to it. For those of you interested in seeing how you might be able to contribute to the research, visit the DAR 2018 Search Efforts webpage. This page provides research questions we are trying to expand upon as we gather more historical source material. Please email Jennifer Minus, the New York State Officer’s Club President who is leading our research efforts, to share your interest in contributing to the search. You can ask her questions and share information you know or have learned through research about Margaret. We have tried to gather a number of primary sources and other information about Margaret on the Resources and Further Reading page. We would love your help to expand on that research and go deeper down the rabbit hole on questions we lack strong answers or reliable sources. Remember to keep your eyes out on DAR, U.S. Military Academy, and U.S. Army social media in the weeks leading up to the May 1 rededication ceremony as we continue to spread greater awareness of Margaret Corbin. You can join in by sharing posts about Margaret with the hastags #HonorMargaretCorbin and #WheresMargaretCorbin so others can learn about her contributions and get excited about our ongoing search. Now, let’s dig deeper into Margaret’s story (but don't take a shovel to soil...YET)!